Service & Maintenance - California Bicycle Inc.
With over 43 years located in downtown La Jolla, San Diego we are the premier destination for all of your service wants and needs! 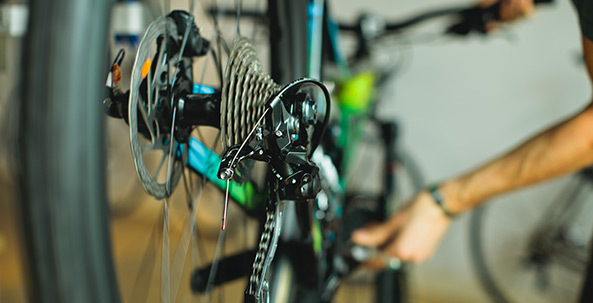 Whether it is just a flat tire, a full tune-up, or a ground up custom build we are your one stop shop for professional grade service on bicycles of all kinds. With an industry that is constantly bringing new products to market daily, we work hard to make sure we have the tools and abilities to install the newest product available. 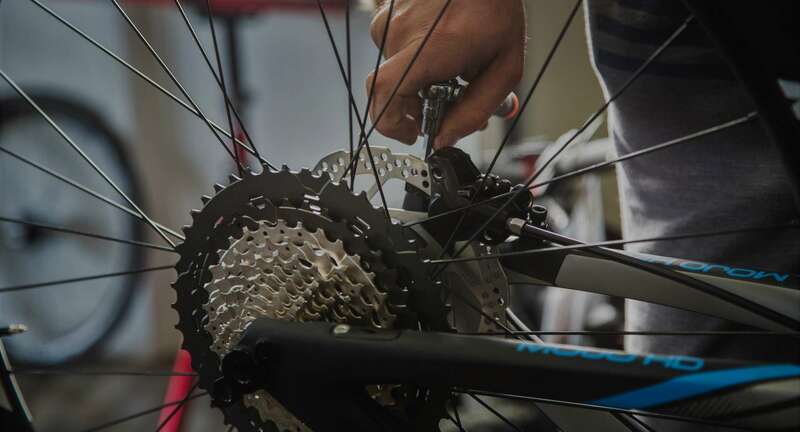 Our service department is more then happy to work on anything bicycle related, and with almost 5 decades in the business of fixing, maintaining, and upgrading bicycles, there is no job to big or too small for our technicians. At California Bicycle Inc, we truly believe that there is no substitute for experience! With over 43 years in the industry we not only have all the experience but we also have all the tools, knowledge, and resources to get every job done from start to finish perfectly. Click the button below to see our hours of operation, and to find our phone number and address. 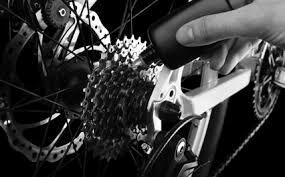 We look forward to providing you and your bicycle with an unmatched level of service excellence. Call Us Today or Stop By! Copyright © 2019 California Bicycle Inc.